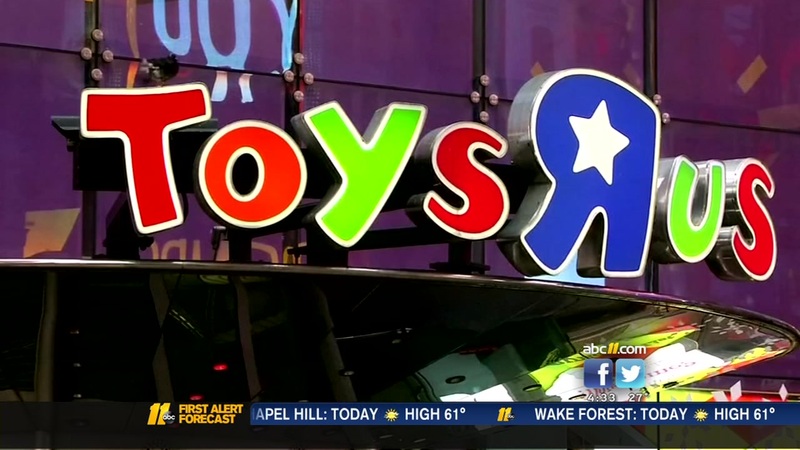 CARY, N.C. (WTVD) -- Reports of a man buying upwards of $1 million of toys from the now-defunct Toys 'R' Us stores across the Triangle have been verified. An employee at a Cary store, who was not authorized to speak on behalf of the company said the buyer visited the Cary location to purchase toys. That employee went on to say, "It didn't happen all at this location. We don't have that much inventory. It happened at various stores. They likely went through the Raleigh liquidator." Tuesday, the only items remaining at the Cary location were a small selection of assorted baby clothes and a few small aisles of toys. In a phone call to the Raleigh store on Poyner Pond, an employee declined to comment when asked about further information about the anonymous shopper or what their immediate plans were following the large purchase.